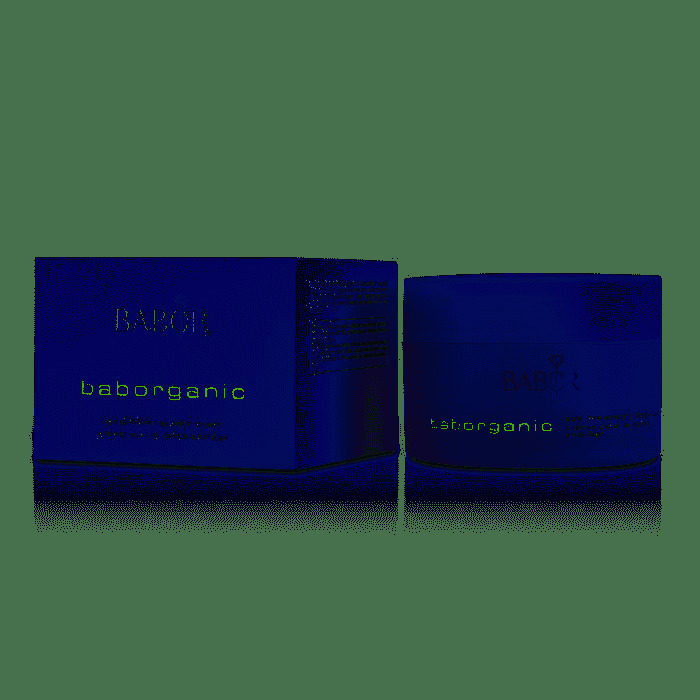 BABOR Baborganic Age Preventing Body Cream 6.7fl oz. Home/BABOR/BABOR Baborganic Age Preventing Body Cream 6.7fl oz. BABOR Baborganic Age Preventing Body Cream: An enriched body cream for dry skin. Intensively conditioning, it leaves the skin soft and supple. Extracts of white almond and elderflower blossom firm the tissue and tone the skin. Water (Aqua), Glycerin, Vitis Vinifera (Grape) Seed Oil, Squalene, Butyrospermum Parkii (Shea Butter), Cetearyl Alcohol, Dicaprylyl Carbonate, Glyceryl Stearate, Meadowfoam Delta-Lactone, Potassium Cetyl Phosphate, Terminalia Catappa Leaf Extract, Propylene Glycol, Limnanthes Alba (Meadowfoam) Seed Oil, Olea Europaea (Olive) Fruit Oil, Tocopheryl Acetate, Phenoxythanol, Panthenol, Hydrogenated Palm Glycerides, Sambucus Nigra Flower Extract, Carbomer, Fragrance (Parfum), Xanthan Gum, PVP, Tannic Acid, Alcohol, Ethylhexylglycerin, Leontopodium Alpinum Flower/Leaf Extract, Potassium Sorbate, Hydrolyzed Cicer Seed Extract, Disodium EDTA, Biosaccharide Gum-1, Sodium Hydroxide, Citronellol, Caprylic/Capric Triglyceride, Linalool, Sodium Benzoate, Lactic Acid, Pantolactone, Ascorbyl Palmitate, Citric Acid, Ascorbic Acid.